Many of our IBN builders have built their business around custom housing which is perfect for this market we have decided to name Adaptable Living Homes. 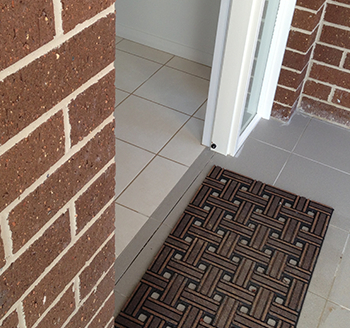 The Independent Builders Network was introduced to a market of housing through the National Disability Insurance Scheme (NDIS) and decided to get involved due to many common interests, but the most pressing is we have many builders spread from Townsville to Tasmania who already specialise in works other than standard housing. 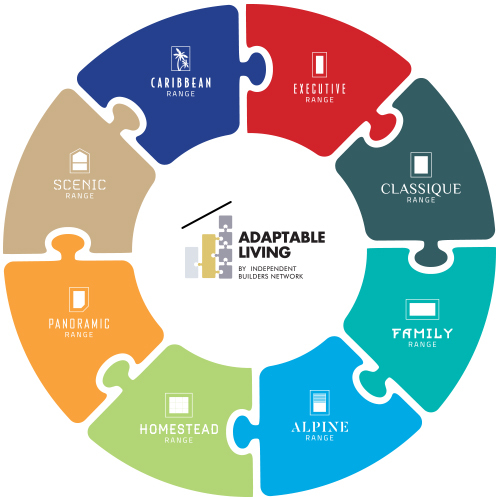 The reason behind the name Adaptable Living Homes is we viewed current building practices and the need to change this to reflect the everchanging characteristics of its buyers so we looked to create a housing product that catered for the disable, ageing, growing family or injured by future proofing the house to be readily available for any changes life throws our way. 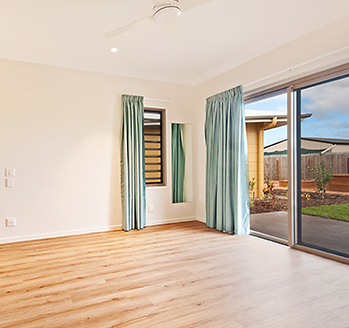 Adaptable Living Homes follows the Livable Housing Australia guidelines. These guidelines are about making homes easier to access, navigate through and live in. By doing this as part of the building process we are providing a more cost-effective way to adapt to changes in life and make it easier to change your home to suit, as opposed to changing afterwards which can be a very costly experience. 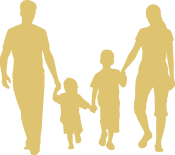 Our aim is to build homes to meet the needs of young families with kids, people with sporting or traumatic injuries, assist the ageing community and to cater for people or families with disabilities. The key to a Livable Housing Design is to build homes that meet the ever-changing needs of the occupants across their lifetime. Adaptable Living Homes will be designed with comfort, safety and ease of access as core design features. These features make it easier for parents to manoeuvre prams, carry shopping into the house, easier for people with a disability or temporary injury to move around and create a more spacious environment for the ageing. 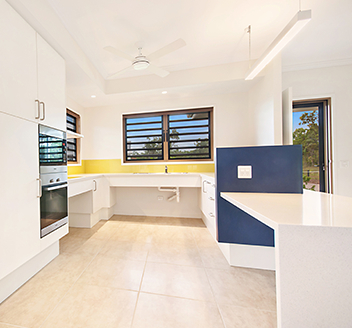 These features will allow key living spaces to be more easily and cost effectively adapted to meet the changing needs and abilities of home occupants such as ageing baby boomers and people who have or acquired a disability. 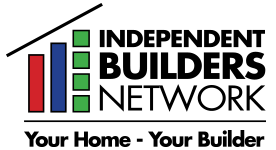 There are three performance levels of design being implemented by the Independent Builders Network to meet the livable housing design guidelines. Seven Core livable housing design elements. Focuses on the key structural and spatial elements that are critical to ensure future flexibility and adaptability of the home. Incorporating these features will avoid more costly home modification if required at a later date. Enhanced requirements from most of the core livable housing design elements plus additional elements. The gold level provides for more generous dimensions for the core livable housing elements and introduces additional elements in area such as the kitchen and bedroom. Some further enhanced requirements for the core livable housing design elements plus all remaining elements. 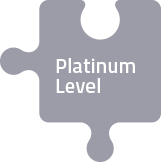 All 15 elements are featured in the platinum level. This level describes design elements that would better accommodate ageing in place and people with higher mobility needs. This level requires more generous dimensions for most of the core livable design elements and introduces additional elements for features such as the living room and flooring. The flexibility of designs available for Adaptable Living Homes is quite large to the point that majority of the standard IBN design range can be modified to suit so we have made our complete library of designs available for this. While it is an important to emphasise that majority of our designs are available to be modified we have also come up with a range of 4 designs that have already been modified to suit Adaptable Living Homes which covers off on two bedrooms, three bedrooms, four bedrooms and acreage. The designs that are named the Haven, the Abington, the Sarah & the Koroit Adaptable have all been market tested with each design being built either as a display or a client house to make sure they meet the Livable Housing Design Guidelines and are now available to the market. Adaptable Living inclusions can change depending on what level of housing you require but the basic standard inclusions are very similar to that of a standard built house. 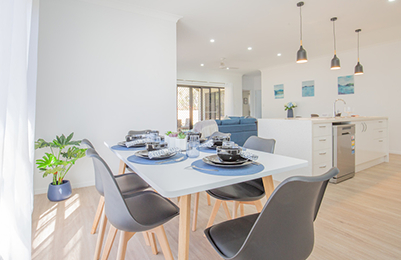 As part of the IBN standard inclusion range we use Clipsal Iconic products throughout the housing which is ideal for Adaptable Living Homes. They are switches and outlets that can be connected through the internet and controlled through an app that can be downloaded. 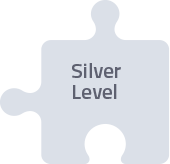 Depending on the individual requirement this is a key feature that can be added too over time or setup at the start. Most plumbing fixtures will be the same with the exception of the toilet suites which can be selected to suit the individual needs. Through our partnership with GWA there are many products that can be selected from. 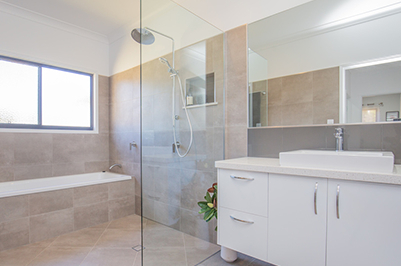 Frameless shower screens are the perfect fit for Adaptable Living Homes and in most cases are a very popular upgrade product that would be standard for Adaptable Living Homes. Door locks and handles have a big variety these days and the standard is usually fine but for the individual who needs specific locks & handles we have access to a large range or keyless or card access door furnishings that can be included through our arrangement with Lockwood. This would be the same as a standard home with the exception of the control which can be upgraded to a digital removable thermostat or a wireless setup controlled through an app which once again is almost the standard now. There are many other items that can be tailored to suit a person’s particular needs ranging from bathroom vanities to kitchen joinery setup. Our builders work with each client individually to make sure we have the exact products and setup they need.